Portable CNG Tank Home and Business Unit Using Type 3 and 4 Tanks! CNG United in the News! 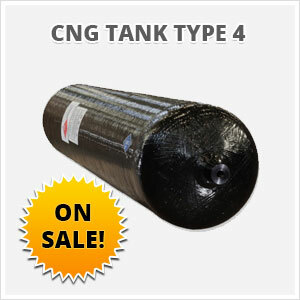 View cart “CNG Tank Type 4 | O.D: 18.2 | Length: 80 | G.G.E: 22 gallons” has been added to your cart. All CNG Tanks Type 4 Cylinders are USDOT FMVSS 304 and NGV-2 compliant certified, and tested to the highest standards. The cylinder service pressure is rated at 3,600 psig with a 20 year service life. We made it easy for you to select the products we have. Simply click on the pulldowns below. This product is currently In Stock. Feel free to call to arrange an Invoice.